It has to be said that one must really want to learn about this subject to get through this book, unless one likes a lot of heavy facts. 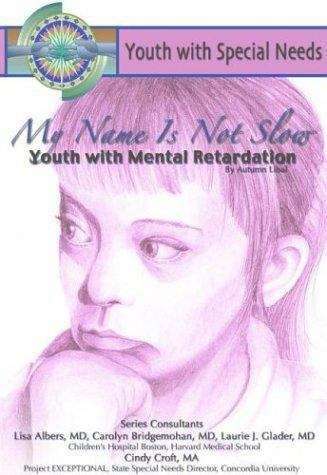 Reading facts off a page isn't usually my preferred learning style, but this book was a great jumping-off place to start learning about Down's and other kinds of mental retardation. The information, though a little bit watered down in places, is good stuff to know and very comprehensive, and the story...Well, I was captured from the beginning. From before the beginning of Penelope's life outside the womb, I cared about what happened to her. I cried with her when she learned what it was to lose someone, without really understanding why. And I was oh, so proud of her in the end when she moved into her own apartment with her best friend. I fell in love with her, as one might fall in love with any living, breathing child, and as she progressed through adolescence and into adulthood, I found myself admiring her. This book is a wonderful learning tool both for children and young adults.